America, some of the world’s greatest inventions have come out of that little known country; they invented the swivel chair, made so you never have to stand up and go to the bathroom. They invented the George Washington Ferris Wheel, a big wheel you see at theme parks and always avoid. But the most impressive invention, made through necessity rather than logic, has to be the Ice Cream Float, a drink created when one ingenious American ran out of ice, noticed ice cream was cold, and decided to cool his drink with that instead. What a beautiful mind. We’ve decided to not only celebrate this flag stone in history, but to put more of America into our very own cocktail of the month. Yes we’ve got ice cold cola, yes we’ve got two scoops of ice cream floating on the top of that cola, (because as the age old saying goes, two scoops are better than one), yes we’ve got caramel AND vanilla syrup mixed in with our soda, but we’ve also added another of America’s greatest inventions. Bourbon. No I don’t mean the biscuit, I mean Kentucky’s own Jim Beam Double Oak Bourbon. A bourbon that is aged in one charred oak barrel to develop taste, then poured into ANOTHER barrel to mature even more smooth taste. Double Oak, Double scoop, see what we did. 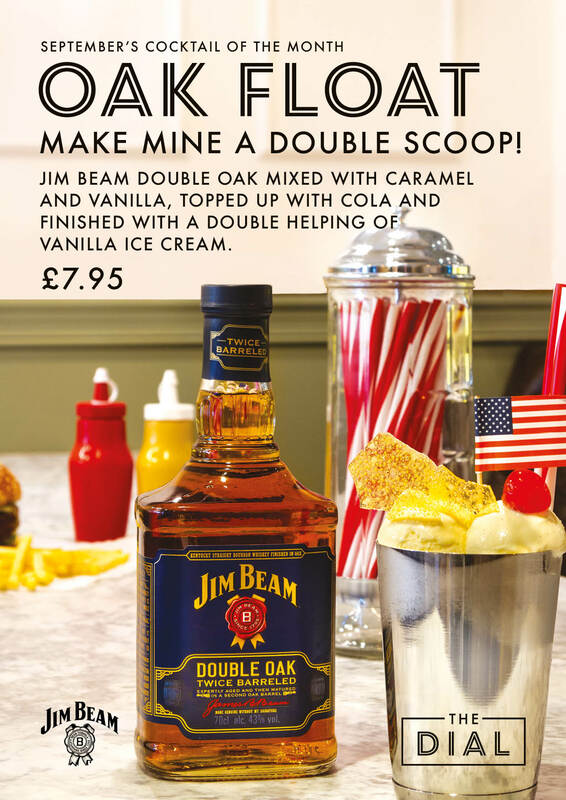 Our cocktail enhances the sweet vanilla and caramel taste notes of the already enhanced taste notes of Jim Beam. Making a smooth, sensational drink that is made cold with vanilla ice cream. Whether you drink bourbon or not, you’re going to love this. So for all things America, go to America. Specifically Florida, Disney World is there. 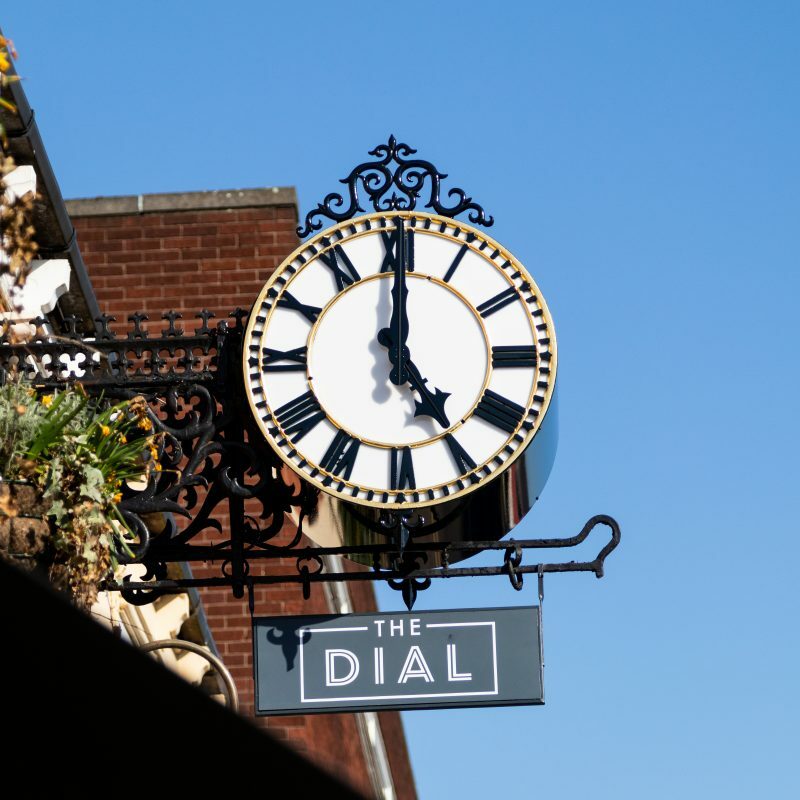 For the best Drinks around, Stick a flag in The Dial.